Travel is a wonderful thing but do you ever think about how it is affecting the environment and the communities you visit? Karlis from Independent Wolf shares with us the greenest and cleanest places to visit in the world. Tourism is a major contributor to the world economy as it drives both foreign exchange and helps in economic growth and development for the local nations. It is a noteworthy wellspring of revenue for developing nations which can help them build better infrastructure for their locals and for the tourists. Yet, we realize it is a double-edged sword; leading to uncontrolled numbers of tourists who in turn damage the beautiful places they go to see. It is shocking that places like Thailand’s Phi Phi Islands, Cozumel Island, Mexico, Bali Island, Indonesia, Ecuador’s Galapagos and the mighty Mount Everest, which once used to be secluded, majestic destinations are now under threat of closure to tourists. Take Mount Everest, for instance, the natural beauty and magnificence of the snow-capped peaks is being eaten out slowly by leftovers tourists leave behind. Thousands of tins, plastic and aluminum cans, clothes, papers, glass and even tents are collected now and then by the local conservationists and as the number of visitors continue rising, we can expect overwhelming garbage to be left on the world’s highest mountain. So, we embarked on finding out if there are any places left on earth for the future traveler to visit. Places that blossom with natural beauty; unspoiled grounds, fresh air and wildlife in their natural habitat. And we found 8 of such places. But, you must promise one thing before we reveal our little secret; thou shall not litter these grounds. Located 13km from the centre of Canela town, the Horseshoe Valley Park (Vale da Ferradura) is home to 500 acres of pine forests which attract wildlife such as azure jays, striped-tailed coati and capuchin monkeys. The Horseshoe Valley Park is located at the top of a canyon that stretches for 420m, and where the Santa Cruz River outlines like a horseshoe giving the place its popular name. The surrounding green and fresh air along with the stunning view of the Arroio Cacador waterfall complements 4 hiking trails, 3 lookouts and the infrastructure comprising of 8 BBQ grills, a playground and snack bar. Hike this hilly, clean park during the day and go back to the nearby German towns of Gramado and Canela for a taste of their European-inspired favourites such as Bavarian chocolate, raclette and apfelstrudel. The Val d’Orcia is one of the greenest and lushest places in Europe. This beautiful haven is located in central Italy in Tuscany region and boasts of never ending rolling hills covered with sunflowers and a green valley encompassing the Orcia River from which the area derives its name. These captivating landscapes have attracted the attention of countless Renaissance artists and photographers who have made the area famous across the world. 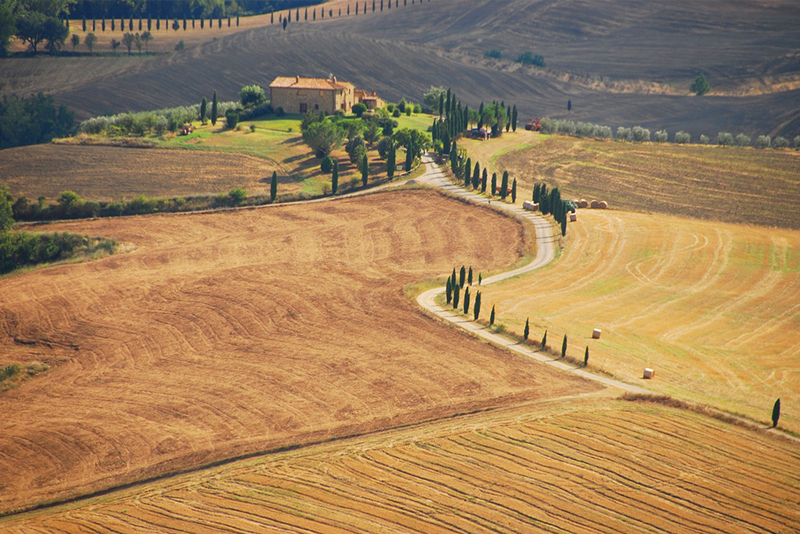 Visit Val d’Orcia from November to June to gaze at the vineyards for the famous wines of Brunello, rows of green Cyprus trees and groves of green olive trees juxtaposed with kilometers of golden wheat fields. For your information, this territory which stretches along Siena and Grosseto provinces is protected as a World Heritage Site by UNESCO. 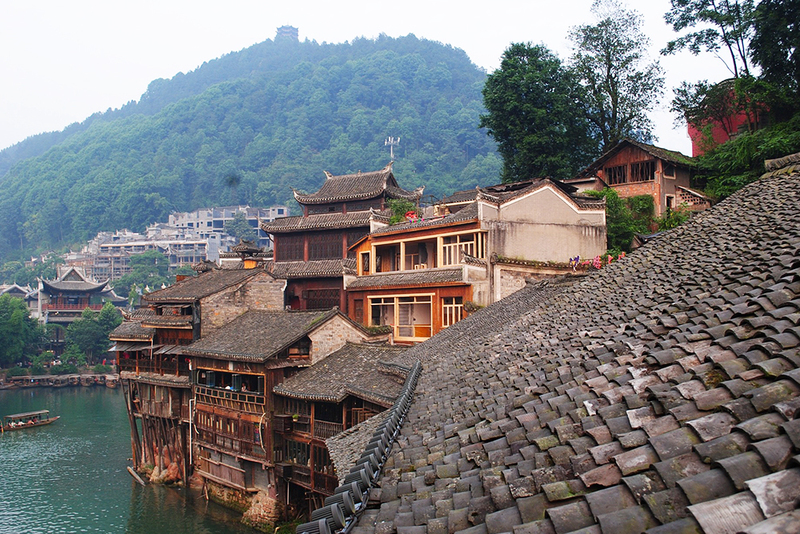 Hunan is a province located in the south of central China, covering an area of 82 sq. miles. Worth mentioning is that 80 percent of the area is covered with mountains and hills. The name means South of the Lake and the stretch of water referred here is Lake Dongting, the second largest lake in China. It is also home to Xiang River and the majestically vast and lush Wulingyuan, a region that was designated as a scenic and historic site by UNESCO in 1992. There is plenty that to see in Wulingyuan, from national parks to sandstone pillars, gorges, streams, waterfalls, ravines and caves. The mixture of mountains and water in Hunan makes it perhaps the most beautiful province in China. The region has been a major centre of agriculture for thousands of years, growing tea, rice and oranges. Visit Hunan in the fall for lighter rainfall and cooler temperatures, and make sure to sample Hunan’s cuisine unique flavour. The rural part of Gorenjska is, without doubt, the greenest and cleanest part of Slovenia. Located in the northwest part of the country, Gorenjska is home to the stunning Julian Alps, which stretches all the way from Italy to Slovenia. The highest peak of the mountain ranges is the Triglav Mountain, known as the three-headed mountain by the natives. Take a trip to Triglav National Park and explore its alpine green pastures on foot, on a horseback or even by bike. Don’t miss the Slovenia bike tour that will take you around the gloriously green destination from the seat of a bike. Go up to Jezersko and chase waterfalls, wave at grazing sheep and enjoy clean, unspoiled mountain landscape before heading down to the famous Lake Bled for dreamlike breathtaking scenery. Or you can opt for Lake Bohinj for some great outdoor activities including hiking, swimming, and rafting. Wonderfully secluded and ruggedly handsome, the Scottish Islands are perhaps the greenest part in the UK. If you fancy an island hoping trip, this is the best destination on earth. Whether you only have a few days or a couple of weeks, it’s worth taking the time to explore some of Scotland’s green landscape and a few islands and discover the unique character of each. The major groups of islands which are perfect for touring include the Inner Hebrides and the Outer Hebrides located in western Scotland, Orkney and Shetland in the north of Scotland. You can spend some time golfing on one of the Highlands beautiful green courses, or take a bike tour and explore the serene landscape and rural farmlands of this remote, blissful region. Ireland is arguably among the greenest countries in the world and County is the greenest place in Ireland. There are lush green pastures across the region thanks to over 200 days of rainfall per year and the warm climate from the North Atlantic Drift. County Kerry is home to Ireland’s most iconic views; cloud-torn mountain peaks, mist-shrouded bogs, soft golden strands and surf-pounded sea cliffs, and emerald farmlands jumbled by tumbledown stone walls. 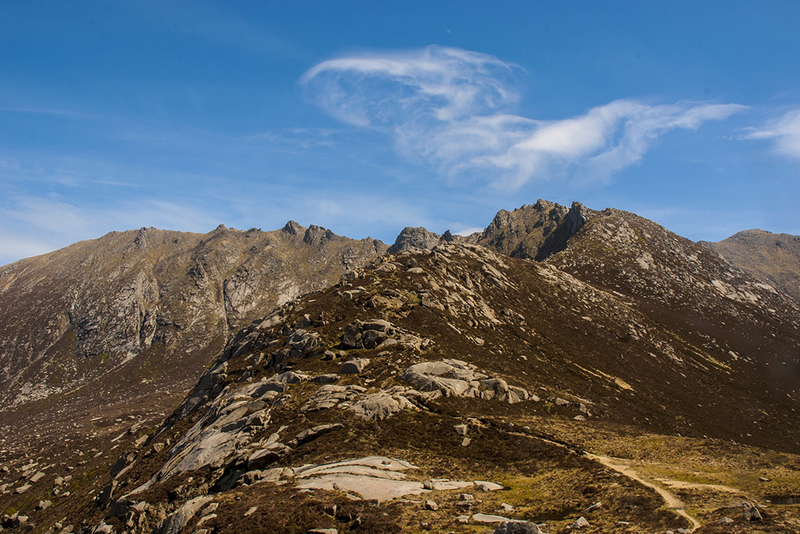 It is home to the finest national park in the country, the Killarney National Park, Lake Killarney and the Dinge Peninsula. Take an Ireland bike tour and discover the infinite beauty of this lavish island. Finish your days at the colourful shops, restaurants and loud pubs within the region inspired by traditional music. If you need to escape the crowds, there’s always an isolated cove, untrodden trail or a mountain pass for you to discover. The entire region of the Eastern Alps is a dramatic countryside with stunning scenery. Here you can view majestic peaks over 9,000 feet soaring above slow-moving glaciers which give way to sweeping Alpine meadows ablaze with wildflowers in summer and spring. The landscape is full of hot springs and deep gorges, ice caves and salt mines. Driving across this land brings a new excitement at every curve plus it’s a countryside to hike too and ski in the winter. Visit one of the 20 alpine gardens, 60 nature preserves, and the country’s 6 national parks to take into Austria’s greenest and most verdant region. Hike the 256-mile long Eagle’s Walk offering 33 stages to explore. Or, you can take on the Lechweg 77-mile hiking trail along the Lech River and Lake Formarinsee for idyllic and abundant backdrops. A Czech Republic – Austria bike tour will be perfect if you want to experience the bountiful beauty of Austria. Over and over again overlooked or dismissed as ‘flyover’ countryside between LA and San Francisco, this breathtaking stretch of California coast is packed with rolling golden hills of fertile vineyards and farm fields, wild beaches and misty redwood forests where hot springs cover up. The Hwy 1 pulls out all the stops, view savvy. Flower-power Santa Cruz and the iconic port town of Monterey are entryways to the rugged wilderness of the bohemian Big Sur drift. It is an epic expedition winding down to Hearst Castle, past beacons and tense bluffs on which imperiled condors take off. Get acquainted with the countryside character of San Luis Obispo County which is covered in miles of green, coastal hills. The San Luis Mountains offer a great place for mountain biking or hiking with stops at farm stands and farmer’s markets along the trail. Worth mentioning is that this area experiences approximately 315 days of sunshine a year. Miles of abundant green vineyards and farmlands also lie wait for you to discover and sample some of the Central Coast’s world-famous wines. But, you must be a good guest to one of these green and clean destinations; leave the place better than you found it. Start practicing the art of being a good tourist. It is a matter of responsibility and common sense. You will travel to these places because they are beautiful and you may or might never come back again. If you’ll happen to go back in 10 years, you’ll not want to be the guy that will say, “This place was cool 10 years ago.” You’ll definitely want to find the magic still there. Think of your kids and grandchildren, don’t you want them to explore and enjoy these places too? You can learn about responsible tourism here and why it is important to everyone. When looking for those rare tourist attractions, a good research online can help you find one. Of course, everyone will be doing the same but you want to find a few facts about the unique characteristics of the destination and perhaps the volume of people that go there. Maybe even the best time to visit the place and where you can stay. No matter where you go, be responsible and conserve the environment. Thanks for the awesome guest post Karlis from Independent Wolf. Don’t forget to follow them on Facebook and Instagram! This is an excellent post, and one that makes you think about where you travel. It’s sad that places like Galapagos and Phi Phi are experiencing the negatives of mass tourism, but it’s good to know there are other great and green places to visit. So interesting about Hunan; I’d never have known! I am chuffed that there are so many green spaces still left on planet Earth. That’s a definite plus for environmentalists and eco-conscious travelers. However, I remember reading something about over-tourism on the isle of Skye which could lead to more human traffic, less greenery. Horseshoe valley park looks amazing. We have seen the photo before but didn’t know it was Brazil! Gorenjska in Slovenia looks amazing as well wow! What a lovely compulation of some of the beautiful parts of the world. I’m yet to explore any of these but as you said I hope the future tourists work on keeping just as beautiful. It is our duty to protect the earth and work on making it a better place. Great post! This list is so interesting. Surprised to see China on there. I like that central CA made the list. I’m not too far from it, maybe that’s where should consider moving to. There are some absolutely stunning locations here! It is such a shame that the beauty of some of the world’s most beautiful environments are being damaged by over tourism – I have been to some remote destinations and found waste and empty bottles scattered around. I always try to use reusable drinking bottles and the like. The Scottish Islands and the Californian coast are both high on my bucket list at the moment! Its such a pity that I havent been to any country listed above. Ireland is high on my list..including sites of Game of Thrones. I have been to Iceland though…its amazingly clean …do add it in your list! Cleanest and greenest sounds very catchy. My favorite would be Slovenia..